If Portia de Rossi has it her way, you won’t be hearing about her in any upcoming roles anytime soon — or, to be more specific, ever. 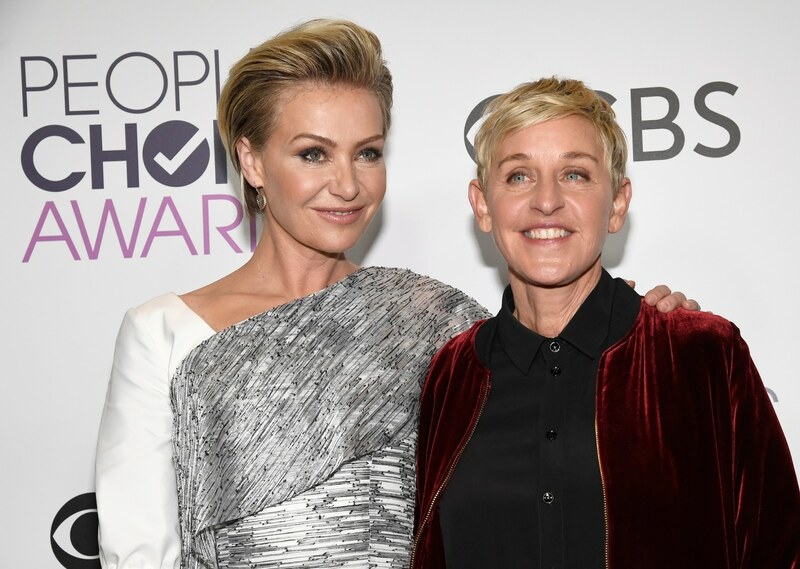 During a telling appearance on The Ellen DeGeneres Show, the actor revealed to the host (and, of course, her wife) what prompted her to give up acting for good. Well, sort of. You see, although de Rossi says she actually retired over a year ago, you haven’t seen the last of her on the small screen just yet. Despite making the decision about 18 months ago — just after Shonda Rhimes wrote her off Scandal — de Rossi reached out to Arrested Development creator Mitch Hurwitz to break the news that she no longer wanted to act. Ha! But, like, can you really blame Hurwitz? It’s hard to imagine the (hilarious) show without de Rossi playing Lindsay Bluth Fünke. While our first inclination is to be selfish and wish de Rossi would reconsider — maybe she could just hang on to that one gig? — we can’t say we’re not excited to see what comes of de Rossi’s next venture. After DeGeneres lovingly joked de Rossi was “aging out” of roles, the now-former actor gracefully explained the reason behind her major career change. “I just kind of was wondering, ‘Is there something that I could tackle now that I’ve never done before that would be really challenging and different?’ I kind of knew what acting would look like for me for the next 10, 20 years, so I decided to quit and start a business,” de Rossi elaborated. That business is General Public. An art-curation and publishing company, it’s being billed as the first of its kind for creating reproductions of original works by emerging and established painters around the globe. Good for you, de Rossi! We’re positive the star will be just as good at arbitering as she was at acting.